The Shoreham-Wading River Central School District community helped to make the Thanksgiving holiday a festive one for a number of local families. Under the leadership of school social worker Andrea Monz, Albert G. Prodell Middle School students, staff and families generously donated food and gift cards. Student Council members decorated collection boxes and many students were involved in separating and packing festive Thanksgiving dinner bags in time for delivery. Food items collected at both Miller Avenue and Wading River schools were also packed for delivery. Each grade level was assigned a certain category of food and an abundance of food was collected. After making baskets for families, the surplus will go toward December holiday dinners and be donated to the food pantry at Saint Anselm’s Church in Shoreham. 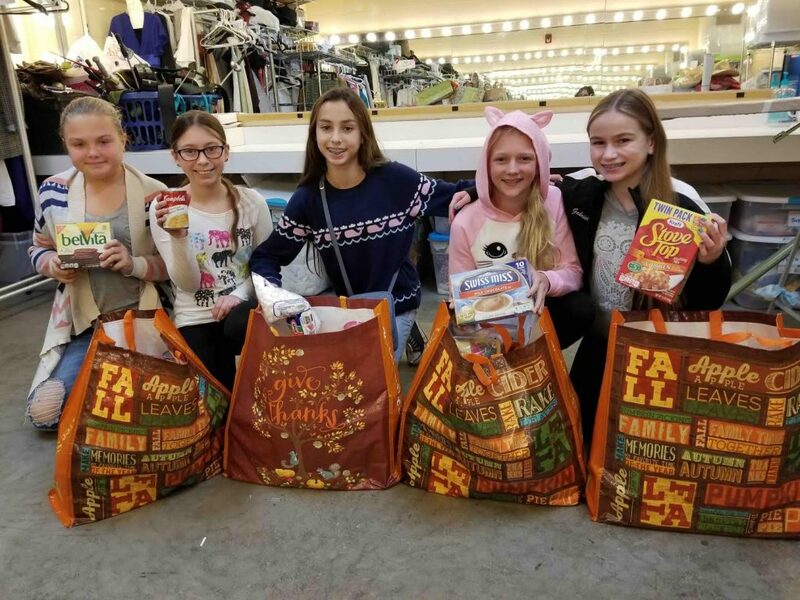 1: Albert G. Prodell Middle School Student Council members collected food items to be delivered before the Thanksgiving holiday. 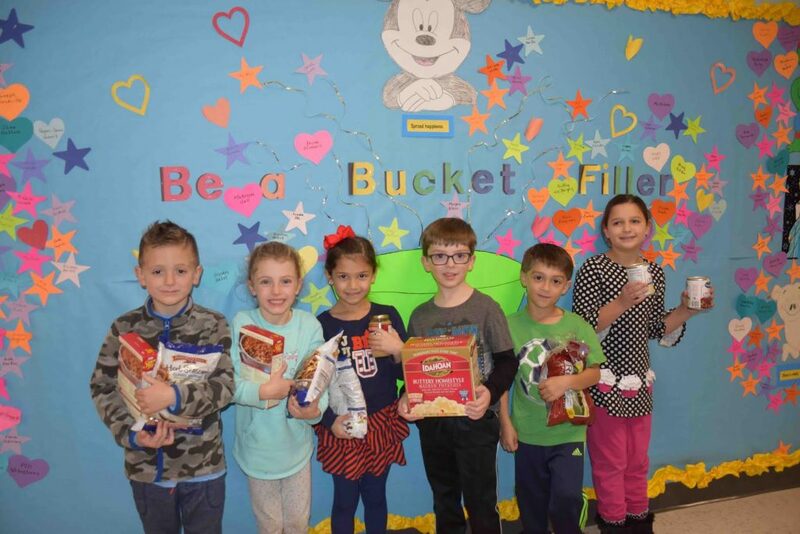 2: First-grade students at Miller Avenue School in the Shoreham-Wading River Central School District displayed some of the collected food items ready for delivery before Thanksgiving Day.